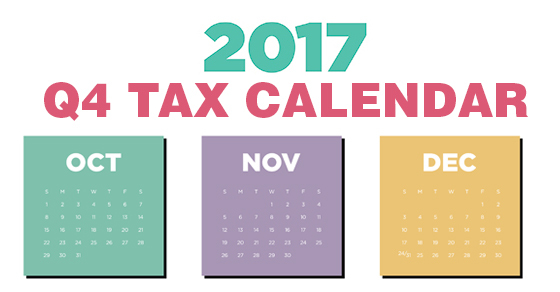 Here are some of the key tax-related deadlines affecting businesses and other employers during the fourth quarter of 2017. Keep in mind that this list isn’t all-inclusive, so there may be additional deadlines that apply to you. File a 2016 income tax return (Form 1120) and pay any tax, interest, and penalties due. Please contact us to ensure you’re meeting all applicable deadlines and to learn more about the filing requirements.